Aarati Krishnan speaks to George Kinder about 'life' planning and how it can result in a better investor experience as compared to financial planning. Dubbed the “father of life planning” and author of the seminal book on money, “The Seven Stages of Money Maturity,” George Kinder has been an investment and wealth professional for more than 30 years, coaching thousands of advisers on how to do more than just talk about financial products, but how to get to the root of what people really want in life before creating a financial plan to make it happen. With decades of experience as a mindfulness and meditation teacher as well, Kinder has a unique insight in helping people find their true wants in life and then finding the ability to fund those dreams. In this episode, Kinder talks about the three most important questions to ask yourself in order to understand your life goals, questions his thousands of advisers ask their clients through the Kinder Institute of Life Planning. Get Charged Up about planning your life! Listen to George Kinder's views on what investors should do with the political uncertainty ahead. This is another really great article on Life Planning, this time from Morningstar in India. I am greatly impressed with the Indian journalism on the subject of fiduciary duty, client freedom, and genuine advice. Brilliant. Well-written. Enjoy! There is an inspiring story about India here, but really it is one of the best and most personal interviews I’ve given about the origins of Life Planning. My deepest gratitude for all who taught me what freedom is and how to inspire it. InvestmentNews has named George Kinder one of the Top Icons and Innovators of 2016. InvestmentNews recognizes the icons and innovators who have shaped and transformed the financial advice profession. InvestmentNews printed a special report on December 19, 2016 announcing George as one of the innovators that helped shape the financial industry. 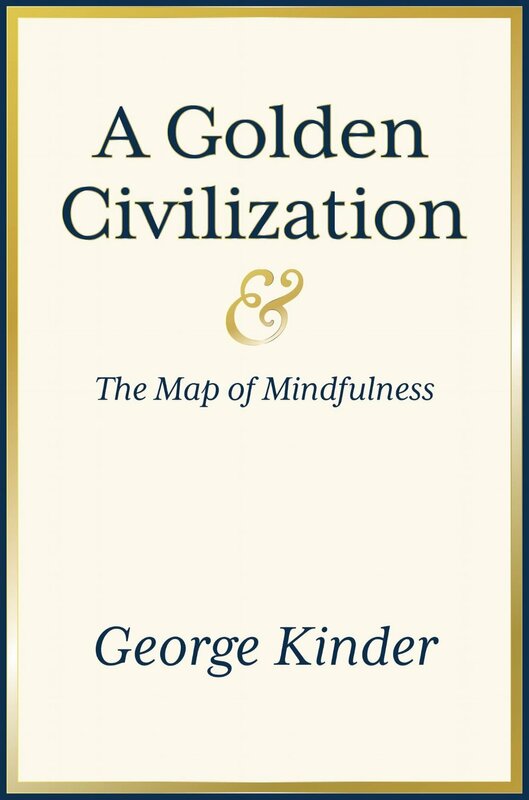 Nationally recognized as the father of the Life Planning movement, George Kinder is the Founder of the Kinder Institute of Life Planning. His book, "The Seven Stages of Money Maturity: Understanding the Spirit and Value of Money in Your Life," is considered by many to be the seminal work in the burgeoning field of Life Planning. When we met with George he shared the three questions that, he believes, we all must ask ourselves when considering our relationship not only to money, but to life itself. A beautiful video of our home planet, breathing. I had the opportunity to see Oliver Stone's new film, Snowden, this past weekend. It's a must see. Joni Mitchell with Crosby, Stills and Nash share a timeless message. The Guardian has released a wide-ranging report on the confluence of dark money and politics in reference to the 2012 recall effort against Wisconsin Governor Scott Walker. It confirms our every worst fear regarding the impact of Citizens United. Last week's Wells Fargo revelations have shown that the time has come for large institutions to be broken up. Join our conversation on Facebook. Great reporting from The Guardian on the history of the inequality problem in America. Two incredible songs from Bob Dylan at the Civil Rights March in Washington, DC in 1963. A great, instructive, short video that gets to the heart of the realities of our world.